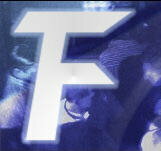 time out from production to inform you of the latest Factoria DJ and production activities. Recently I’ve been making more headway with the DJ-ing side of things and at the end of August I made my UK club debut at Passion. Playing alongside The likes of Digital Blonde I had a really enjoyable night thanks to everyone that came and supported me and I hope to entertain you on a dance-floor again soon! trance parties I’ve attended let alone played at. I flew over on Friday afternoon me Ryan and good friend Dom. Once we landed in Amsterdam we immediately heard from Menno De Jong (DJ & Organiser) that the traffic was so bad we were going to have to get a train. so we jumped on the next train to the Haag and soon after arrival Paul Moelands and Menno picked us up from the station and took as to DJ HQ. and some other producers, Soon after we got there Ronski Speed arrived, everyone was ready to party. After we all (Excluding Drivers) downed many beers and Paul and Menno started ferrying us to the club. Me and Ryan spun our set in the VIP area which was great fun, we’ve not DJ’d back 2 back before but it all went off well. pushing the tempo and velocity all the way. I don’t think I’ve bounced that much for a while! The next day we were due to fly back in the evening so Robert Nickson kindly took time out to show us around the city of Amsterdam. Would def like to go over to the Netherlands to spin again soon! It was such an awesome event and I was so pleased to make my international debut there!! Well done to everyone involved. My latest single is out now on Elevation Records, entitled No Escape is a darker trance track but still with the typical Factoria uplift. It’s had airplay on BBC Radio One and Galaxy FM and has been ripping its way through club systems all over the world. I’ve recently completed a remix for Darey Products of Matt Darey -Liberation 2004, and this huge anthem is seeing a re-release with some massive remixes!! Remix, and tougher pumping Antiphase Remix. I’ve already broadcast two shows and feedback has been excellent so far. in the First show Genix supplied the beats and in 002 the guest mix was supplied by Yaz.